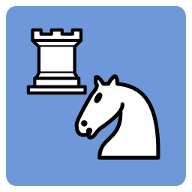 Install Chess via the Android Play store. Download on your sd-card. Long press the link and choose "save link as" if it opens in your browser. Then go to the advanced option of Chess and select Create practice set. Each set contains around 1000 positions. Download on your sd-card. Long press the link and choose "save link as" if it opens in your browser. Then go to the advanced option of Chess and select Import puzzles. Daily Chess News and Games. Weekly digest for download. By Mark Crowther. Choose the PGN column for your download. When downloading on your Android with Chess installed, you can select to import. Download on your sd-card. Go to the Advanced option in Chess and choose "Import games into the game database". Browse to the downloaded file and select to import. Download on your computer and copy to your sd-card.